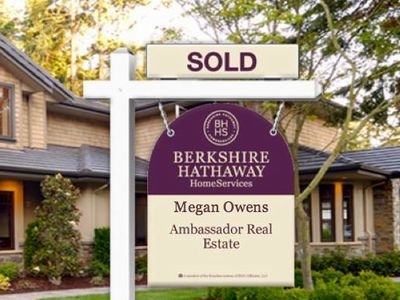 In my 5 years of selling homes (and over 128 sellers), those that appear “move in ready” always attract the greatest number of potential buyers and sell quickest. When we meet to sign a listing agreement, I will take a tour of your home and together we will decide what repairs, if any, need to be completed before putting your home on the market. I will also suggest other ways to stage your home so that potential buyers can envision it as theirs. Working together we will achieve your desired financial return on your timeline. Missed the article about starting the selling process? See my tips here. Remove personal effects like family photos, heirlooms, and memorabilia. It’s true. Buyers want to picture themselves in your space. Don’t distract them with your personal effects. Clear clutter to make countertops, cabinets, pantries, closets, storage areas and garages appear larger. Box up and store items not needed during the home sale. Short of space? Rent a storage unit. Clearing out items before listing your house is a great way to prepare for moving. Organize closets by clothing type and color. Button and face shirts in the same direction. Line up shoes. Turn coffee cup handles the same way. Stack plates and food containers according to size. These all may seem a little OCD, but trust me, they work! Just check out a few popular home bloggers and notice how they arrange a room. Remove unnecessary bulky furniture. Only leave enough pieces so buyers can identify the purpose of the room. With that said, if you are currently using the bathroom as the closet and a closet as a bathroom, make sure you set the stage for the room’s actual purpose. Also, TVs can be a nuisance if there is one in every room. Set them aside into storage and free up the valuable wall or counter space. Keep the grass mowed and edged. Plant seasonal flowers and trim hedges, trees and bushes. Place a pot of colorful flowers near the front entrance. Look at your house from the curb. Does the front door need painting or replacement? Is the house number visible? Are the windows clean? Repair any broken items, both inside and out. Make sure all doors and drawers open and close easily, and without squeaking. Fix any leaks or drips. WD40 will become your best friend. Are you always annoyed by that one drawer that always sticks? The prospective buyer will most certainly feel the same way. If there are water stains on the ceiling, call me and we can get it checked out. If it is from an old problem, we can paint over it to deter unnecessary worry. However, it is important to note: don’t make any attempts to cover-up serious problems. The inspection will definitely uncover the issue and it will make it more stressful for us to get ahead in negotiations if the buyer cannot trust you. Scrub and possibly stain grout. The biggest areas will be the tub/shower surround and around the sinks. Gunk builds up over the years and leaves a gross feeling with buyers. You should also re-caulk where needed. Remove the rings from toilet bowls and from around the tub. Clean all surfaces and mirrors, including mantles and fan blades. Replace worn bedspreads, shower curtains, and rugs. This can get expensive, but little touches like this will help the buyer feel more at home and not that the house is too lived-in. You can find affordable home items and plastic shower curtains from your local Wal-Mart. We all hate this, but there’s a reason that there’s a saying to “slap a fresh coat of paint and it’s good to go…” exists. Apply fresh paint, where needed. Keep paint color neutral. Paint over bold walls. Wipe baseboards and cobwebs. If the home was built before 1974, there is a lead-based paint disclosure we will have to fill out. If the buyer is going through a government-backed loan, there cannot be chipping paint present, interior or exterior. For more extensive painting tips, or to just hire a professional, let me know and I can help guide you to the right resources. Replace burned out bulbs, clean the furnace and water heater, and replace filters. Basically, everything that’s been on the honey-do list for months. Make sure the home smells good. Avoid strong fragrances to cover up pet or food odors. Some buyers may be sensitive to smells. Pour vinegar in drains and take out the trash. Another tip is actually not to bake cookies before, but to instead boil a pot filled with water, a citrus peel, and some fresh essential oils. Keep empty hampers in each bedroom and the family room. When a showing is scheduled, place all clothing or every-day items that are somehow always cluttering, and place them in the hampers and take them with you. Remove and replace certain items you don’t want to be included in the sale before the first showing. As a trusted real estate professional I will guide you in preparing your home for sale. Are you ready to list yours? Let’s meet.